Japan and North Korea appear to have just enough leverage for legitimate negotiations. Seeking to grasp the shift in Japan’s foreign and security policy since his return to the post of Prime Minister, Shinzo Abe’s critics have called him many things – revisionist, conservative, hawkish and nationalist, for instance. Pragmatist, however, was not among the many labels attributed to him. As Abe is rigorously demanding a comprehensive revision of Japan’s defense and security architecture, including the exercise of collective self-defense, he has put his nation on track for an accelerated departure from its pacifist postwar regime. Framing North Korea as an imminent security threat has been key in pushing many of these changes since the early 2000s. Pledging the restoration of a “strong Japan” able to use its military capabilities, the North Korean threat occupies a central spot in Abe’s revisionist agenda. As such, Abe’s ascendancy is closely linked to his support of the “abduction lobby” which has converged over the North Korean abductions of Japanese citizens during the 1970s and 1980s. Hence, in light of the unresolved kidnappings, and the strong political influence of the abduction lobby in Japan, many have expressed their doubts regarding Abe’s ability to break the current deadlock, as the two countries’ move towards normalizing diplomatic relations. 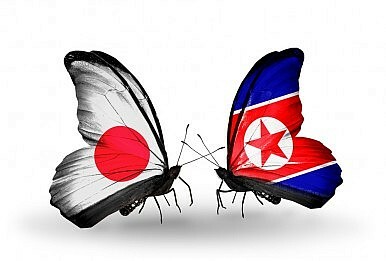 Recent developments, however, indicate that Abe is indeed willing to engage North Korea and thus bring the “lost decade” in Japan-North Korea relations to an end. The result of this return to pragmatism in Japan’s DPRK policy is a series of informal and formal talks with the North since October 2013, which culminated in a meeting between director-general level foreign ministry officials taking place in Stockholm between May 26-28. This meeting produced a surprising pledge by North Korea to reopen investigations into the abduction cases. What does this recent development mean for the state of Japan’s North Korea policy? First, the Stockholm agreement is simply a return to where Japan and North Korea left relations in 2008, when Pyongyang similarly promised a re-investigation of the unresolved abductions. Yet, as political turmoil in Japan created a series of short-lived LDP governments the agreement turned moribund when then Prime Minister Yasuo Fukuda left office. Second, the agreement indicates an increased level of confidence between the two sides, comparable to the series of secret talks held in preparation of the 2002 summit between Koizumi Junichiro and Kim Jong Il. Japan’s commitment to progress in the talks is indicated by the secrecy with which the results of the Stockholm meeting were handled. The results were only announced following the return of Japan’s negotiation leader Junichi Ihara to Japan, and his briefing of Abe. Third, the agreement includes a pledge by North Korea to re-investigate all cases, including the remains of Japanese who died during the last days of the Second World War in what is today North Korea, as well as all acknowledged and alleged abductions. This clearly represents a major diplomatic success for Tokyo, as Pyongyang has departed from its previous posture declaring the kidnappings “resolved.” Further, North Korea has pledged to swiftly establish a commission investigating these cases and to provide Japan with credible information. Though the commission will be installed during the next three weeks, it remains unclear when then results will be put forward. Moreover, the commission’s design includes Japanese representatives. Fourth, the above success was in exchange for Japan’s promise to revise its unilateral sanctions imposed on North Korea. Central to this promise is the loosening of travel restrictions of DRPK-affiliated individuals to Japan, as well as port calls by North Korean ships. However, allowing for “humanitarian” exchange, the agreement has remained ambiguous as to whether this includes the North Korean ferry Mangyongbong-92. As Abe has repeatedly expressed his priority of resolving the abductions as a precondition for dialogue on other issues, the agreement does not include any mentioning of the North Korean missile and nuclear program, or a timeline for normalizing Japan-North Korea relations. What is behind this recent momentum in Japan-North Korea relations? A major cause for the recent progress is Abe’s handling of the abduction lobby. In stark contrast to recent years, the lobby is now being treated with caution, to the extent that they are not included in immediate decision-making, thus allowing for policy options that include dialogue. In addition, Abe’s DPRK policy team has been successful in incorporating the Yokotas into Japan’s engagement approach, and thus tempering the symbolic impact of their daughter Megumi, who has served as the abduction lobby’s poster child. Moreover, as Japan has tightened its sanctions against North Korea, their incremental loosening will create room for renewed pressure. In either case, the risks involved for Abe are limited: A successful talks outcome resulting in the resolution of the abduction issue would increase his public support, as would a renewed hardline posture should the dialogue collapse due to a fourth nuclear test by North Korea. Finally, North Korea’s biggest concern during the talks has been the fate of the Tokyo-based headquarters of the pro-Pyongyang General Association of Korean Residents in Japan. This has served as the North’s quasi-embassy in Japan, and is now subject to a forced sale and ensuing closure. The current agreement has not included this issue, with Japan repeatedly claiming that any resolution would require intervention in an ongoing jurisdictional process. While progress on this issue seems unlikely, an escape from its international diplomatic isolation and spoiled relations with China, a loosening of Japan’s economic sanctions, and the promise of humanitarian aid all appear valuable enough for North Korea to refrain from military provocations. It is for this reason that the more important question is whether Japan is prepared to accept the results produced by North Korea over the abduction cases, and to move on integrating North Korea into a stable regional security order.